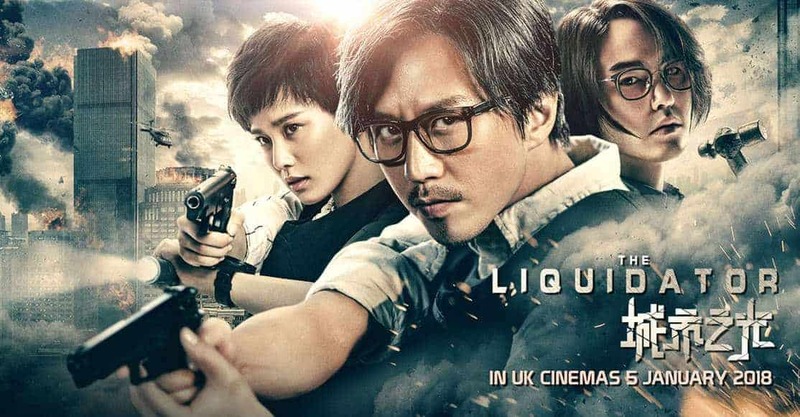 Based on the novel “Evil Minds: City Light” written by Lei Mi, “The Liquidator” is an action blockbuster in Hollywood style, which features some resemblance with “Seven” in a very interesting combination. Let us see what the film amounts to, though. A series of gruesome and ritualistic murders dichotomize public opinion, since the victims have all been subjected to media controversy, and the perpetrator has adopted the persona of the vigilante. Detective Nam, who is in charge of the case, soon finds herself out of her depth, and her boss advises her to ask the help of forensic psychologist expert Mu, a former associate of the police who has been discharged due to some controversy of his own. The two of them start hunting for evidence and eventually manage to narrow down the suspects significantly. Meanwhile, the murderer is plotting his most disgusting act yet: live streaming an execution in which the people decide the victim’s fate. The first thing one notices in the film is that the pace Xu Jizhou implemented is relentless. The rhythm is frantic, with the scenes, and subsequently, the setting and the characters on screen, changing every few minutes, in a tactic that demands unwavering attention from the viewer, in order to avoid getting lost on the sequence of events. Another thing one will notice is that the evidence Mu offers are circumstantial, to say the least, and occasionally even completely baseless, while the story, although intricate, does leave a number of loose ends, particularly regarding the killer’s practices. In that fashion, the narrative fails to capitalize on the many twists of the story, with the same applying to the ending, which could be quite shocking with a bit of better direction and a more thorough analysis of the characters. On the other hand, the combination of the feud between the ritualistic serial killer and the eccentric forensic psychologist, the comments on justice and public opinion and particularly that of netizens, and the way the past of the protagonists is revealed are quite interesting, despite the fact that a number of clichés are included, and actually carry the movie beyond its faults, at least to a point. Some elements of romance also exist, but seem somewhat misplaced in the whole concept, particularly because they are not particularly explored. Probably the film’s biggest asset is its cinematography, with Xu Jizhou implementing a number of genre tactics, including battles on roofs and basements, a plethora of panoramic shots, and scenes of torture and sequences explaining the murders that linger between “Seven” and “Saw”. Deng Chao as Fang Mu anchors the film with a performance that has him appearing grand and theatric at times and completely shuttered and mad on others. His acting is good, but he also suffers from the way the narrative unfolds. Ethan Juan is quite good as the villain of the story, as he emits a violent paranoia even in the moments when he appears completely calm. Some theatricality is also involved in his way of acting, although much more restrained than Deng Chao’s. Cecilia Liu as Mi Nan has a secondary role, although she manages to appear adorable even in the most grotesque scenes. I felt that the basic material could have been developed in much better fashion, since the elements do exist, but Xu Jizhou’s take on the serial killer film has many faults, particularly deriving from the many clichés and the permeating illogicality. However, fans of blockbuster action thrillers will definitely enjoy this one too, since it offers all the favorite elements of the genre.